8 ENVIRONMENTALLY RELATED CONTRIBUTORS TO DEAL VALUE? Of these, the humble Phase I ESA focuses on only one of these contributors: on-site pollution. Savvy investors, especially those intending to continue operating the purchased business, can expand their environmental due diligence to identify both liabilities and assets that can be used to maximize ROI. 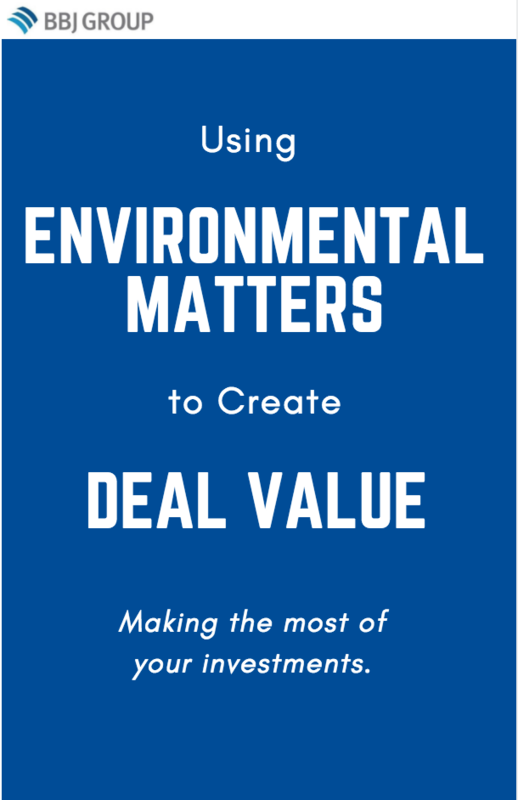 Download your copy of Using Environmental Matters to Create Deal Value and learn how to maximize your ROI and profitability.